Home › Analysis › Beware Rumors Addicts, UEFA Lift Fair-Play Sanctions On PSG ! 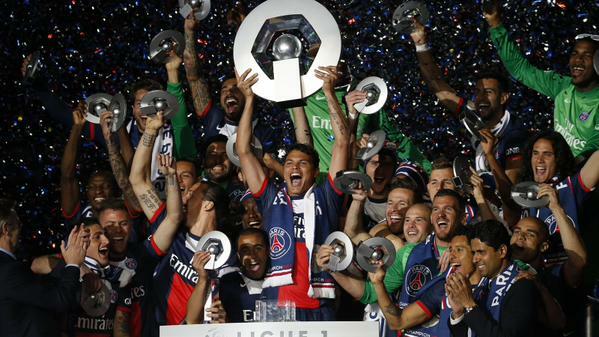 Beware Rumors Addicts, UEFA Lift Fair-Play Sanctions On PSG ! After a taste of Purgatory, Paris st Germain is back and that means juicy buisness ahead and a more lively Summer Window Transfers than predicted. UEFA has decided to lift the sanctions and that means that the Qatari owned Parisian club will be able to recruit players unrestricted, instead of being hampered by a spending ceiling. Paris who won the four domestic trophies last season, kept their promise not to go above a deficit of 30 m. Euros, a year in advance( this season and not the next one 2015/16), resulting the end of UEFA’s ban. These are good news for the club; they can now increase the size of their Champions League squad from 21 to 25 players for next season. L’Equipe.fr also reports that UEFA’s Financial Supervisory Instance of Clubs(ICFC) department has lifted the 60 m Euros limit to recruit new players. Now this decision doesn’t mean that the Qatari club can sign Pogba, Messi and Ronaldo next week; like all clubs qualified for Champions League and Europa league, PSG is set to present every season, balanced accounts or at least a reasonable gap and if they fail to do so, then they’ll be sanctioned again. WORLD CUP 2018 : The Final…or when France’s youth reached the stars. Toulouse's Ali Ahamada Tottenham bound ? Tottenham's Fans Meet Your Opponent : FC Internazionale Milano! Football supporter, living in France and fan of modern goalkeeping. Big admirer of sweeper-keepers' Neuer and Lloris. Supporter de foot, depuis toujours et fan des gardiens de but, style libéro. Mauricio Pochettino, Will He Be The Future Mr Tottenham ? HAPPY NEW YEAR 2019 FOOTBALL LOVERS ! It will be a beauty… Or Well, Definitely Maybe ?